Motor Supply Co. 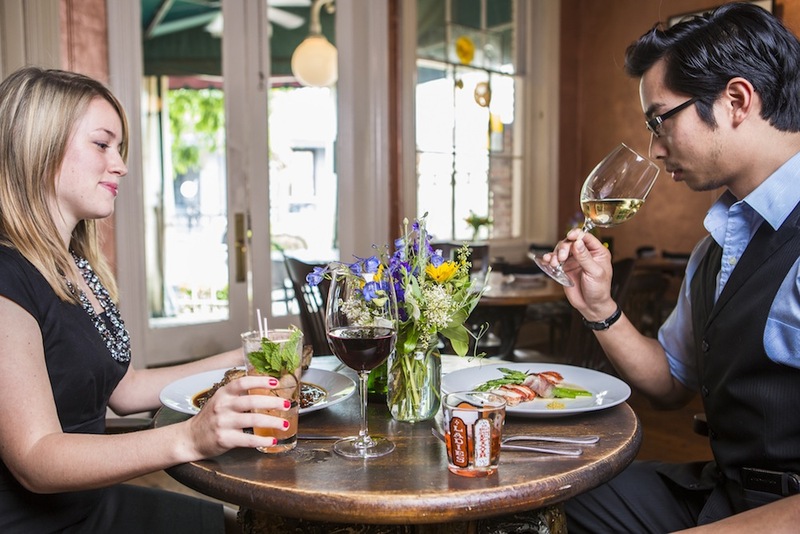 Bistro, Columbia, S.C.’s premier farm-to-table restaurant, will participate in Restaurant Week South Carolina January 8-18, 2015. The farm-to-fork bistro will offer a special deal for dinner, per person: 3 courses for $40. Guests can choose from one farm-fresh salad or appetizer to start; any entrée from Motor Supply’s daily-changing menu; and any housemade dessert. Always using the freshest ingredients from local, sustainable farms across the Midlands, Motor Supply’s menu changes daily – but guests can expect to see salad options like Watsonia Farms strawberries, walnuts and goat cheese over curly greens with citrus-basil vinaigrette; appetizers in the ranks of Chef Wes’ recent creation, fried duck wing with beet slaw and blue cheese aioli; entrées ranging from sautéed Beaufort, S.C. shrimp and Adluh grits and fresh catch market fish with ratatouille to Carolina Heritage Farms bone-in pork chop with merlot blackberry mustard and N.C. grass-fed sirloin with fingerling potato hash. Dessert options generally range from chocolate-peanut butter pie and rum cake to crème brulée and key lime pie, all homemade. See a sample dinner menu here. To make reservations, visit http://motorsupplycobistro.com/reserve or call (803) 256-6687. Learn more about Restaurant Week South Carolina by visiting http://RestaurantWeekSouthCarolina.com; view other participating Columbia restaurants at http://RestaurantWeekColumbia.com; and follow the social conversation on Twitter with the hashtag #RWSC. Known for its artisan cocktails, refined yet relaxed atmosphere and daily-changing, chef-driven menu of sustainable, farm-to-table fare, Motor Supply Co. Bistro has been serving New World, made-from-scratch cuisine in the historic Columbia, S.C. Congaree Vista since 1989. Reservations can be made by calling (803) 256-6687 or by visiting www.motorsupplycobistro.com.